Book a World-Class Speaker Now! Invite a C.A. Short Company Thought Leader and inspire your team with powerful messages and a call to action that will challenge your audience and change your organization. You may have seen Jeff Ross on World Wide Business with kathy ireland! As CEO & CFO of C.A. 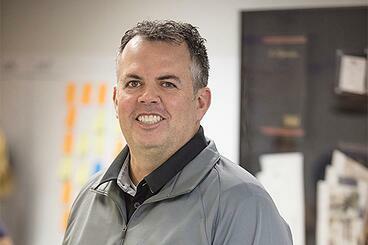 Short Company, Jeff is a thought leader on Engagement and OSHA® Compliant Safety Programs. He knows first-hand the positive ROI impact that engagement and recognition solutions have on organizations. Through his leadership, C.A. Short Company has become a trailblazer, with a focus on Bottom Line Increase! In addition to working full-time for the C.A. Short Company, Jeff travels as a guest speaker to corporate events, Society of Human Resource Management events, and National Safety Council events. With 20+ years of experience in the Recognition Industry, Jeff has vast experience and knowledge in leading companies on the correct path to employee engagement and increasing the company’s bottom line.